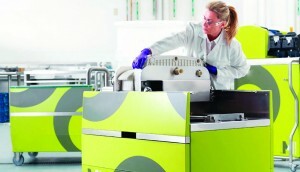 Single-use systems (SUS) consist of numerous plastic components derived from different suppliers. As such, they are prone to changes, including alterations in construction materials or modifications in manufacturing processes. 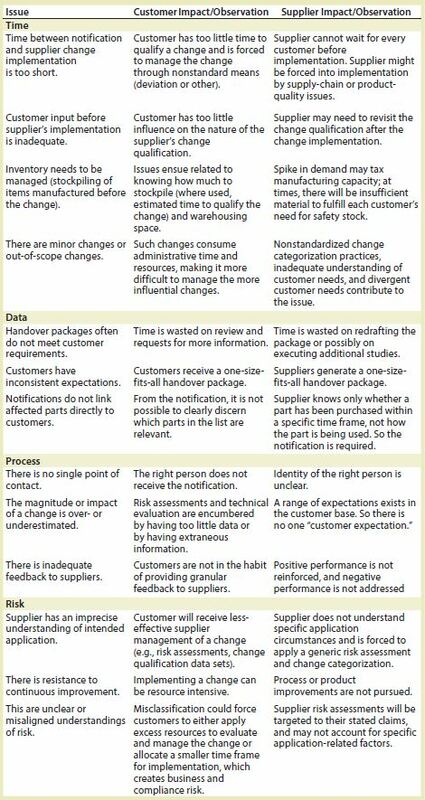 Such changes may originate at the immediate supplier or farther back in the supply chain as a result of product improvements, process improvements, part discontinuation, or even business decisions such as manufacturing site relocation. 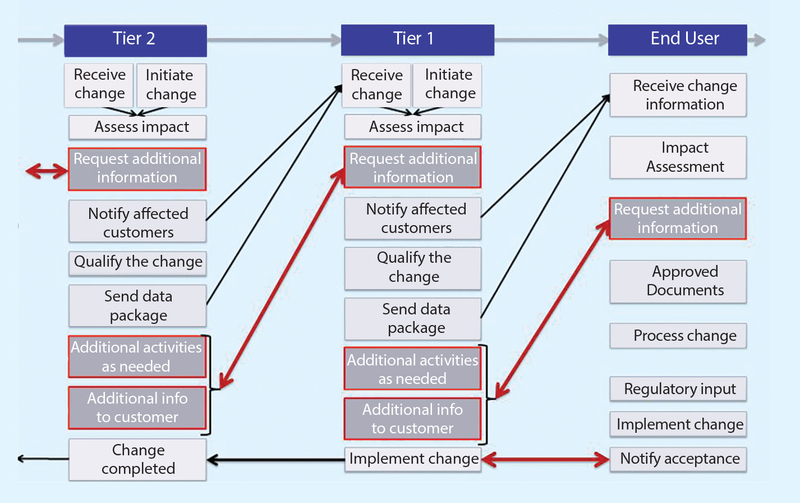 Whether those changes are major or minor, managing their impact on biopharmaceutial processes and product quality often is a difficult undertaking in view of regulatory requirements. The issue of change notifications for SUS is not new. Single-use plastic manufacturing equipment such as filters and bags has been used for decades. But until now, no industry- wide effort to streamline the process has been undertaken, and best practices have not been established. Given the rapid uptake of SUS, there is a clear need for efficient, effective, standardized change-notification practices in the biologics industry. To address the disparity, a cross-functional team of suppliers and end users from BioPhorum Operations Group (BPOG) and Bio-Process Systems Alliance (BPSA) was assembled to brainstorm about the challenges in the industry and to identify opportunities for improving the supplier change-control management process. The ultimate goal of this collaboration is to develop tools and/or practices that will improve the change-notification process and optimize outcomes. 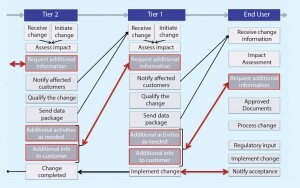 The essence of the change notification problem can be succinctly stated as a lack of industry best practices and standardization, which allows for inconsistent processes for change-control notifications for SUS technologies. Clearly, such a situation benefits no one, least of all patient populations that depend on our industries (namely, polymeric single-use systems suppliers and drug manufacturers) to provide a steady supply of therapeutics. Figure 1 shows the current state of change notification. Currently, communication is not particularly effective and often requires iterative interactions. 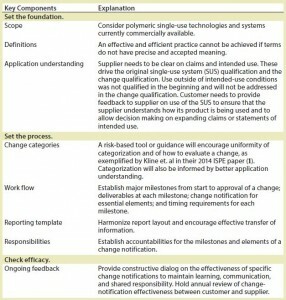 At times, the work of a supplier to qualify SUS appears to be insufficient (based on the additional feedback requested from end users), which translates into a waste of time and resources. What is experienced between end users and Tier 1 propagates to Tier 2 and Tier 3, where the same waste of time and resources is observed. This chain reaction exerts a tremendous drain on industry resources. Figure 1 also demonstrates the inherent complexities of the problem. The key drivers are listed below. Communication: The number of companies involved may be large, and communication efficiency can be quite complex. 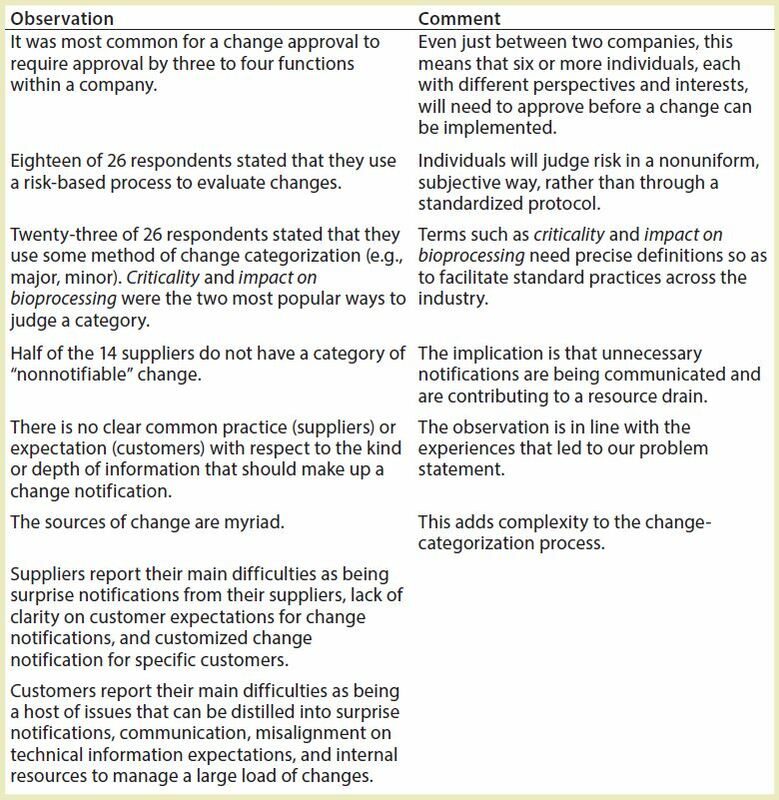 Standardization: A gap divides end users and suppliers regarding the impact of changes on SUS and on the data required to qualify changes. 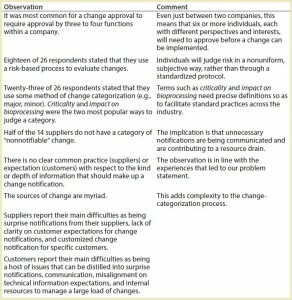 Process: Change management is bound by time pressures and by regulatory and quality compliance requirements. 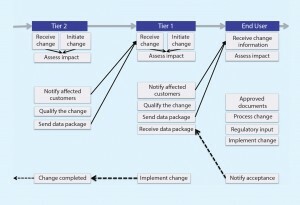 Drug manufacturers are required to follow rigorous change-management procedures according to regulations, the demands of which vary from country to country. 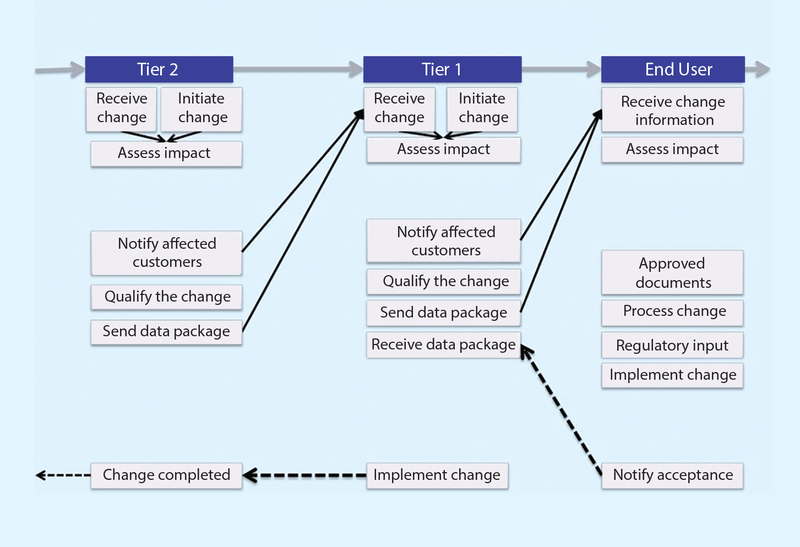 To be compliant, drug manufacturers rely on their suppliers to qualify, document, and communicate changes with enough rigor and time to allow effective change-management procedures to be followed. Breakdowns in this fundamental interaction between drug manufacturers and their suppliers, the sequelae thus caused, and our respective organizations’ efforts to collaborate on a solution are the subject of this article and of the collaboration between BPOG and BPSA. To initiate our collaboration, we established a team comprising drug manufacturers, suppliers, and subsuppliers as well as facilitator and project-management professionals. Our first effort was to execute an anonymous survey concerning change notification that targeted BPOG and BPSA members. That survey reached 14 drug manufacturers, eight SU assembly suppliers, and four component suppliers. (In addition, the survey was executed by one plastic resin supplier and one contract manufacturing organization. Results from these organizations were not carried through in the data analysis because of concerns over confidentiality.) The intent of the survey was to provide the team with a common data set that could be used to reinforce or challenge the experiences and biases of individuals and companies and facilitate the formation of an objective problem statement. Table 1 shows key discussion points from this survey. The next step in our process was to break the problem down by assessing the root issues from both the customer and supplier perspectives. We then came together to compare notes. This exercise highlighted (perhaps predictably) that each issue can and should be viewed from multiple perspectives. Customers and suppliers both have legitimate concerns. Identified root issues were broadly categorized as falling under time, data, process, or risk (Table 2). You should note that whereas the terms drug manufacturer and customer are often used interchangeably, doing so is in fact erroneous. By way of example, an SUS assembly supplier is also a customer of suppliers of the materials (e.g., film, tubes, and connectors) that compose the assembly. 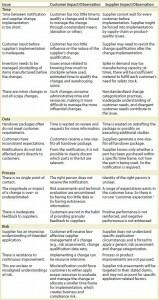 Thus, both drug manufacturers and suppliers are managing changes propagated from their supply chain. 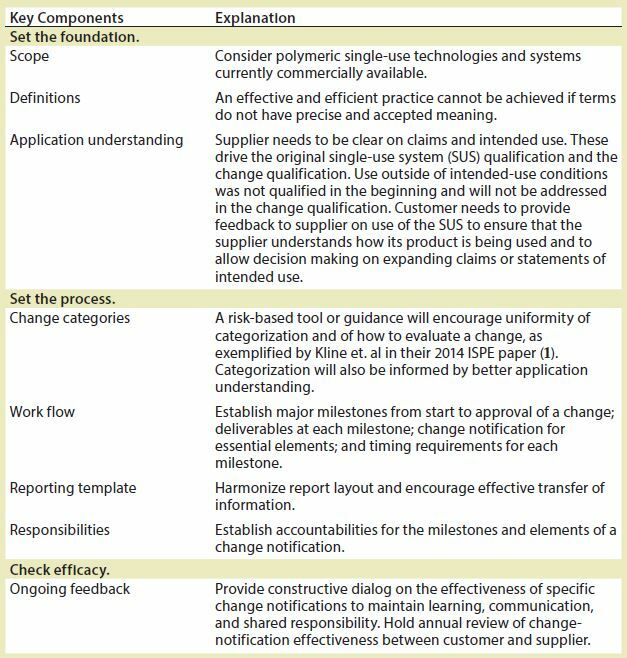 Our future activities will involve executing the details of our proposed framework for SUS change- notification practices and publishing this proposal. That publication will include definitions, tier categorization, standardization, communication, and opportunities for process implementation. That project will be followed by a period of time dedicated to gathering constructive feedback through conference presentations and workshops and perhaps further surveys. Ultimately, we are aiming for a publication that is endorsed by BPOG and BPSA as a pragmatic and effective solution to the issues delineated above and to advocate for its adoption. 1 Kline S, et al. Change Notifications for Single-Use Components: Criteria from an End-User Perspective. Pharma. Eng. 34(3) 2014. Corresponding author Tony White is one of the founding directors of the BioPhorum Operations Group (BPOG) and has oversight in the area of single-use systems; tony. white@biophorum.com. Kevin Ott is executive director of the Bio-Process Systems Alliance (BPSA); ottk@socma.com. BPOG and BPSA collectively represent the greater majority of global biopharmaceutical manufacturers and single-use system suppliers. Both organizations are company collaborations committed to furthering best practices in their respective spheres. Together, both have committed to developing a set of solutions to help the industry improve and harmonize change notification methods for the benefit of all.